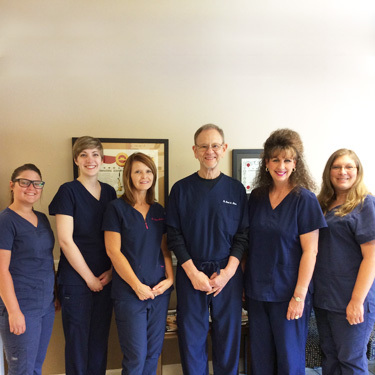 Welcome to Bearden Chiropractic and Acupuncture Clinic! Our friendly staff is ready to greet you with a smile. In our warm, professional environment, we’ll do everything we can to help you feel comfortable and relaxed. We look forward to meeting you. You can plan on spending about an hour and 15 minutes with us for your first visit. You don’t have to wear anything special, as you’ll be provided with a gown and shorts to wear. If you have any blood work records, please bring a copy in with you. If we feel that you need blood work, we’ll refer you out to have it done. Your initial appointment involves a thorough consultation, followed by a comprehensive examination. If necessary, we’ll take X-rays on-site. We don’t accept you as a patient unless your first “trial” adjustment proves to be beneficial. If so, we’ll move forward with the treatment plan that is appropriate for you. Each follow-up appointment will take about an hour. We specialize in caring for those who are suffering from peripheral neuropathy. Each of your visits involves different therapies such as acupuncture, laser therapy, electrical stimulation and pulsed magnetic field therapy. With our well-rounded approach, we’ll help you feel relief as quickly as possible. Contact our team today to arrange an appointment! We’re providers for Medicare and Blue Cross Blue Shield.